Belper Town Council has 22 allotment plots on a parcel of land off Hunter Road. 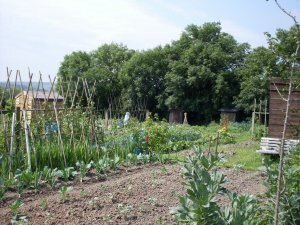 The Allotments are managed by the Hunter Road Allotment Association. There is currently a waiting list for plots. If you want to go on the waiting list - please email the Chairman, Gerry Stuart on gerry.stuart@btinternet.com. Please include in the email- your name, address and telephone number and that you agree that we will hold your details for the purpose of contacting you when a plot becomes available in accordance with the Allotment List Privacy Statement. The Town Council is currently reviewing its allotment provision. If you are interested in having an allotment in the future but are not on the Hunter Road waiting list , please email the Town Clerk on clerk@belpertowncouncil.gov.uk to indicate your interest. this will be taken into account when the Council decides whether to increase the provision.